We have been busy pruning vines all week enjoying glorious spring weather. Today it turned cold and damp and made for a good excuse to work inside. At least that is my excuse. The boys are still outdoors hard at it. The very least I can do is prepare something to reward them for their efforts – a hot mug of tea and a big piece of chocolate cake with chocolate frosting. This origin of this vintage cake is unclear. It has been variously called Jeanie John’s Cake, Big Molly’s Devil’s Food Cake, Jiffy Chocolate Cake, or Mix-in-the-Pan Cake. 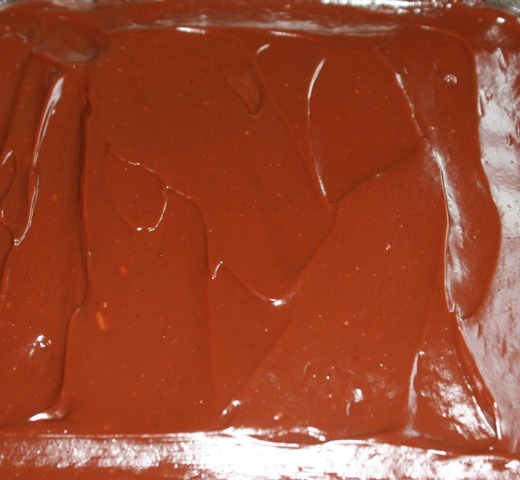 In the 1957 edition of the Practical Cookbook – Selected Doukhobor and Quaker Recipes it is called “Wacky” Cake. This vintage cake is incredibly easy taking a total of one hour to make and bake. It is equally good frosted or with sifted icing sugar. I have an old, well used, hand written recipe card (what a quaint notion) dotted with splashes of chocolate for Richmond Chocolate Frosting written in my mother’s hand. I don’t know to what the “Richmond” refers. There are no eggs in this cake and it is mixed right in the cake pan. Like my previous post on Revisionist Butter Tarts, vinegar and baking soda react to create carbon dioxide giving this cake its lift. Traditional Jiffy Cake recipes call for water but I am going to use up the coffee left from our coffee break. 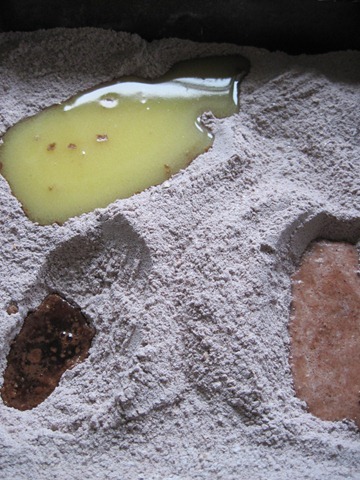 I have also seen this recipe made with oil instead of melted butter. Use what you have. 1. Preheat oven to 350F. 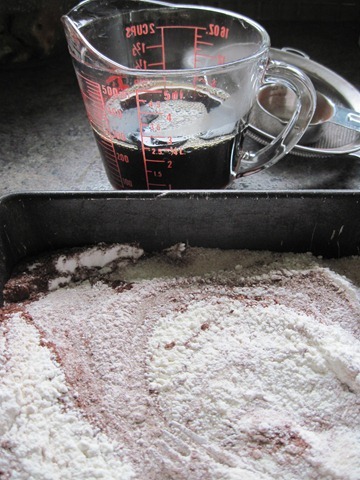 Combine flour, sugar, cocoa, baking powder, baking soda, salt in ungreased cake pan. Stir well to blend. 2. Make three holes in the flour mixture. Pour melted butter into one hole, vinegar in one hole and vanilla in another. 3. 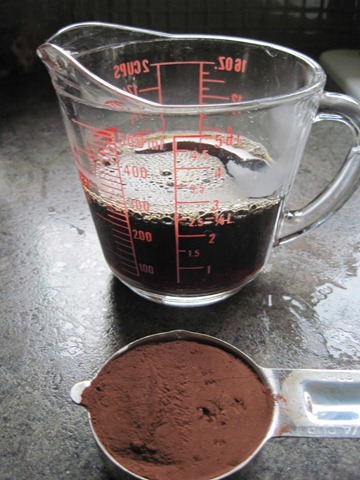 Pour coffee over top and mix well with a fork until smooth. 4. Bake for 35 to 40 minutes or until a toothpick inserted in centre comes out clean. Cool completely. 1. 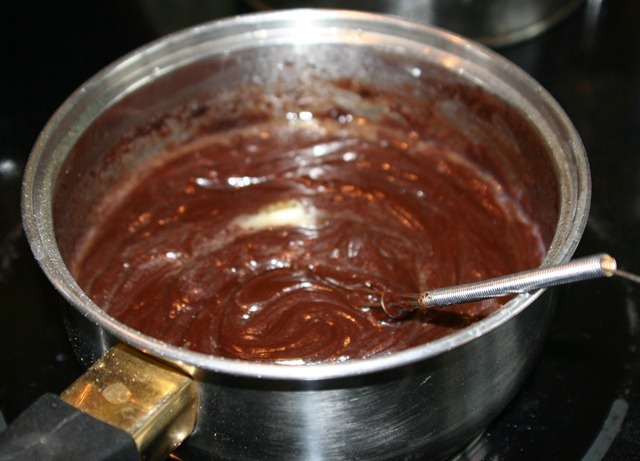 In a heavy saucepan mix sugar and cornstarch; add chocolate and salt. 2. Add boiling water and cook until mixture thickens. Remove from heat and add butter and vanilla. 3. Spread on cake while frosting is still hot. 4. Cut a large piece for yourself. 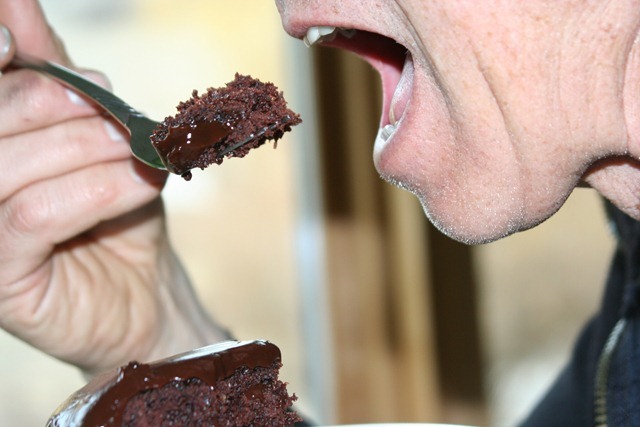 Remember – chocolate cake is not just for breakfast! Go ahead – stuff your cake hole! I love the idea that I can mix the cake in the pan saving one bowl to wash! …and are you sure it is Richmond and not Rich man frosting…? Rich Man frosting? Perhaps that is why I cannot find reference to it. Thanks for the recipes. I was just introduced to this recipe last summer and have made it several times. I really enjoy your blogs. I was inspired Kim and I just made the cake for the workers who are at our house. I screwed up the frosting because I thought I could cheat and just throw all the ingredients in a saucepan and heat. It’s a bit runny, but we’ll see. It’s chocolate and they are hungry men so I’m sure a little runny icing won’t prevent consumption. Jocelyn, Jocelyn, Jocelyn…it is all about chemistry! I am glad you tried it. It is quite delish no matter what. I don’t have a problem eating icing with a spoon! Hi Paul. Thank you for trying the recipe. In this case, changing the type of sugar nor adding more corn starch will turn this into a fudge like frosting. I wonder if your mother wasn’t using an uncooked butter cream frosting. Uncooked butter cream frostings can be very stiff because they are made with butter and icing sugar. Icing sugar mixed with butter will hardened up. 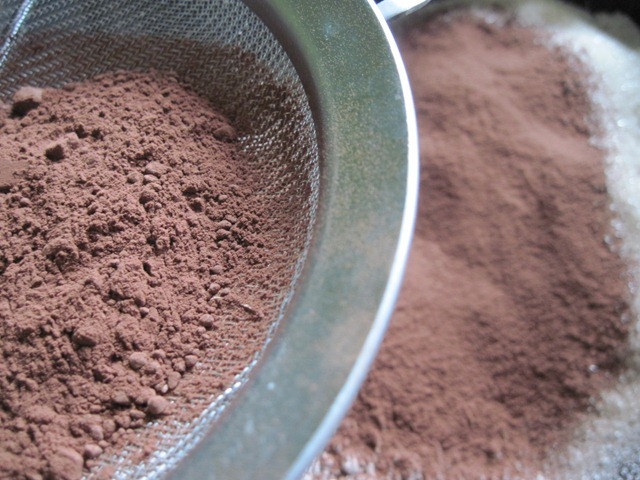 A basic Cocoa Butter Frosting is as follows: 1/2 cup butter, softened, 3 1/2 cups icing sugar, 1/2 cup unsweetened cocoa powder (sifted together), 1/3 cup creamo, 1 teaspoon vanilla. Beat butter and one half sugar/cocoa mixture in large mixer bowl on medium speed until light. Add cream and vanilla. Gradually add remaining sugar, beating until smooth. Add more cream if the frosting is too stiff or more icing sugar if too soft. This makes about 2 3/4 cups frosting. Enough to fill and frost an 8 inch 2 layer cake.